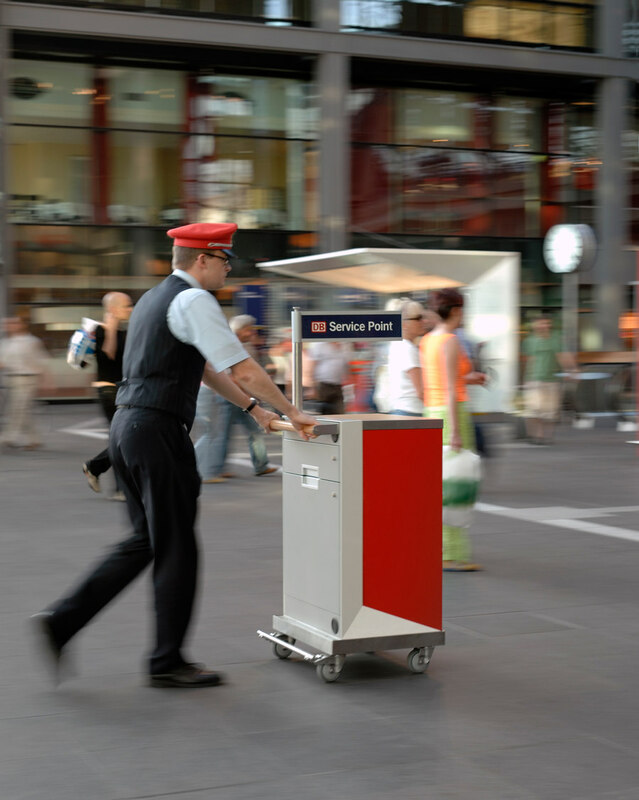 Deutsche Bahn's Service Points create opportunities for face-to-face encounters between customers and the service on offer, the employees and thus Deutsche Bahn itself as a company. 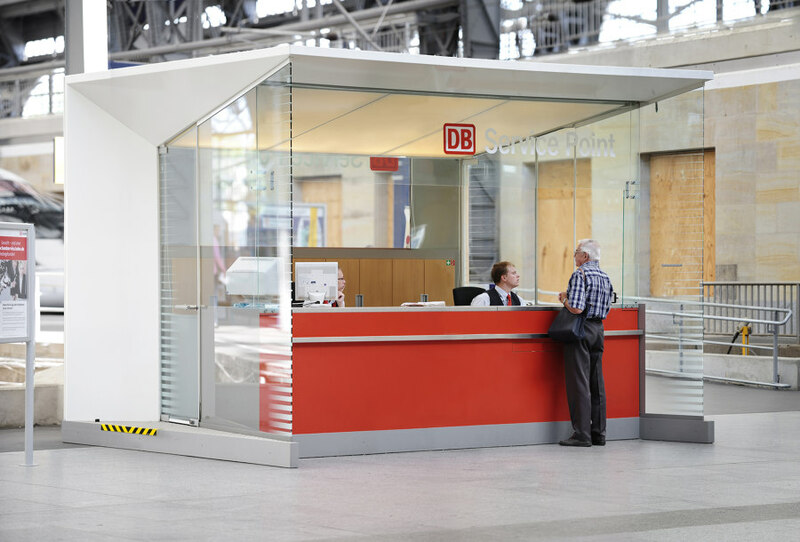 Working on the project in partnership with the Dietz Joppien architectural firm, unit-design has developed an entire product family aimed at representing Deutsche Bahn as an open, customer-focused and friendly company. 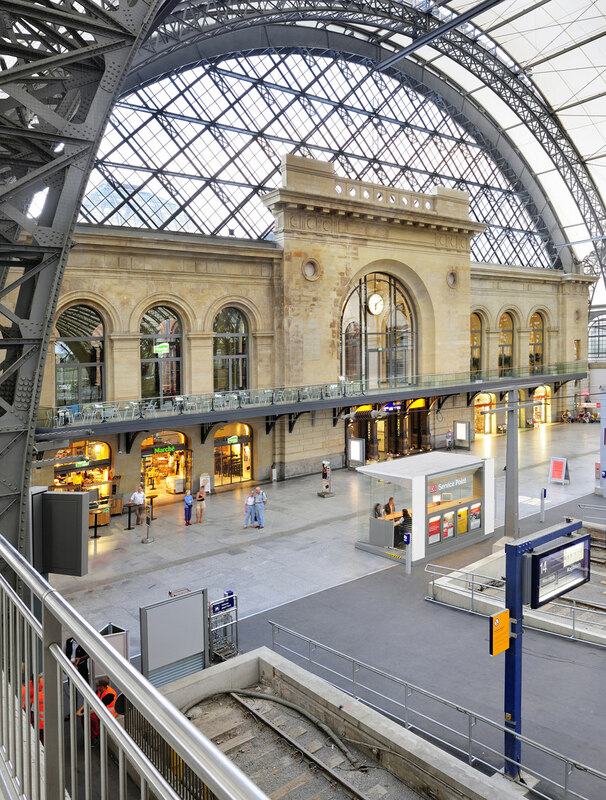 The design elements of shape, material, color and identification are easily recognizable and have their own identities as they fit into the various locations. 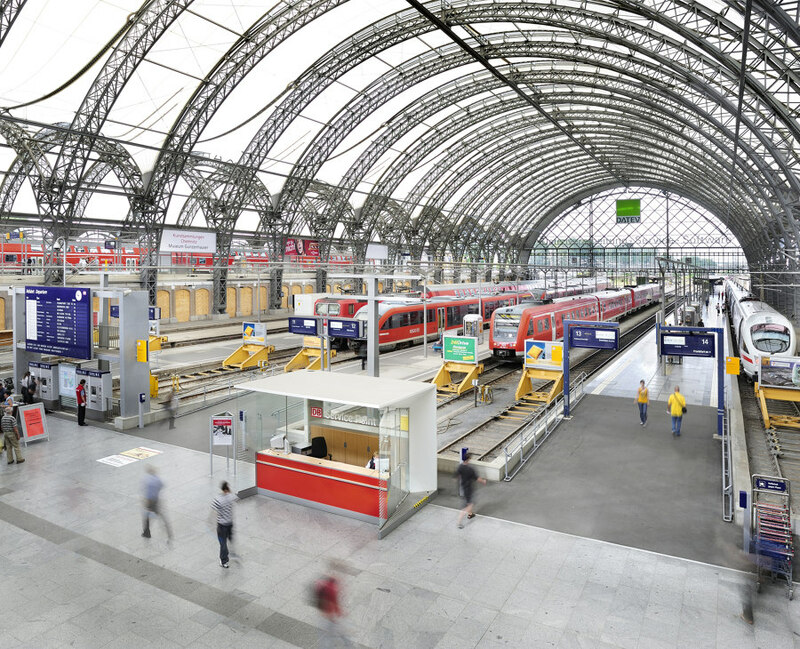 The development of system elements made it possible to use the installations in all areas of a station: on station concourses, inside rooms or façades of station buildings and on platforms. 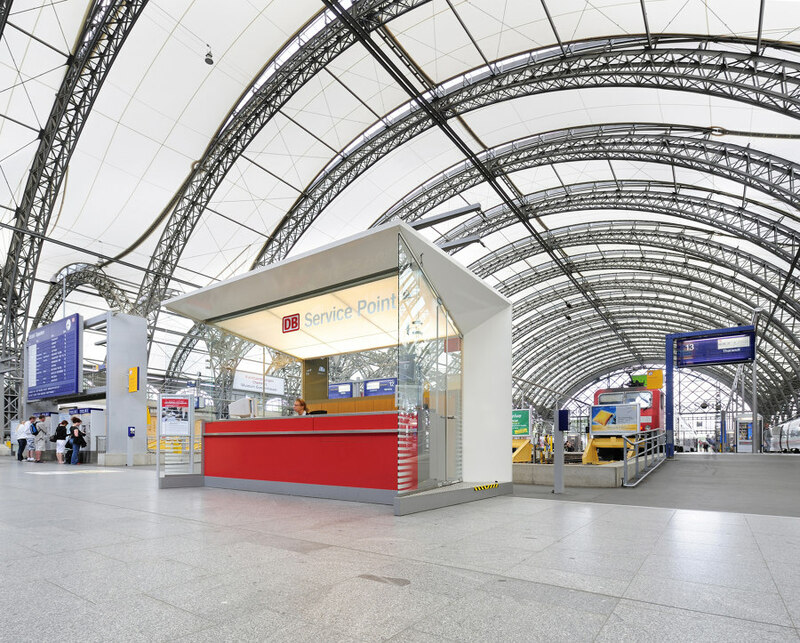 In addition to the design and development of the modules, building services such as operation and maintenance were much improved over the previous facilities. 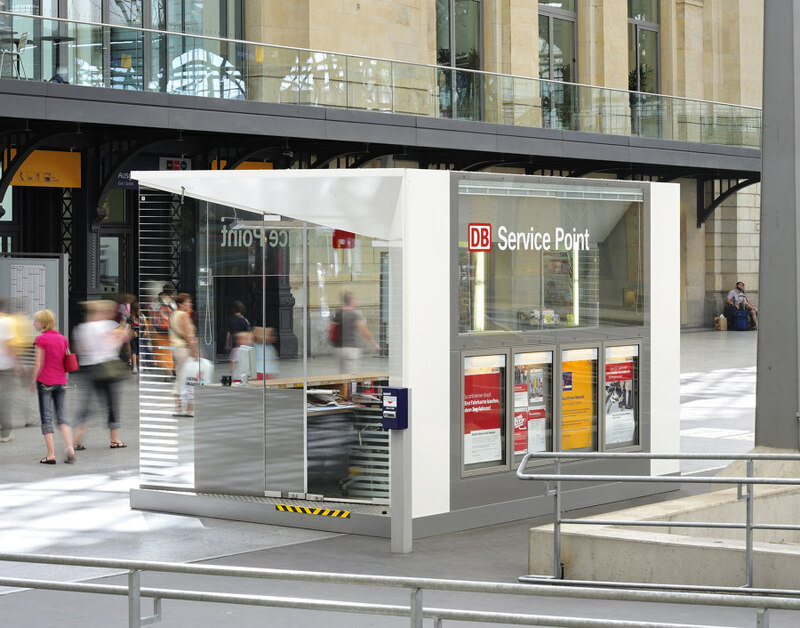 The product family is recognizable by its folded, prism-like frame elements, which have emerged as a new design line for the Service Point family. 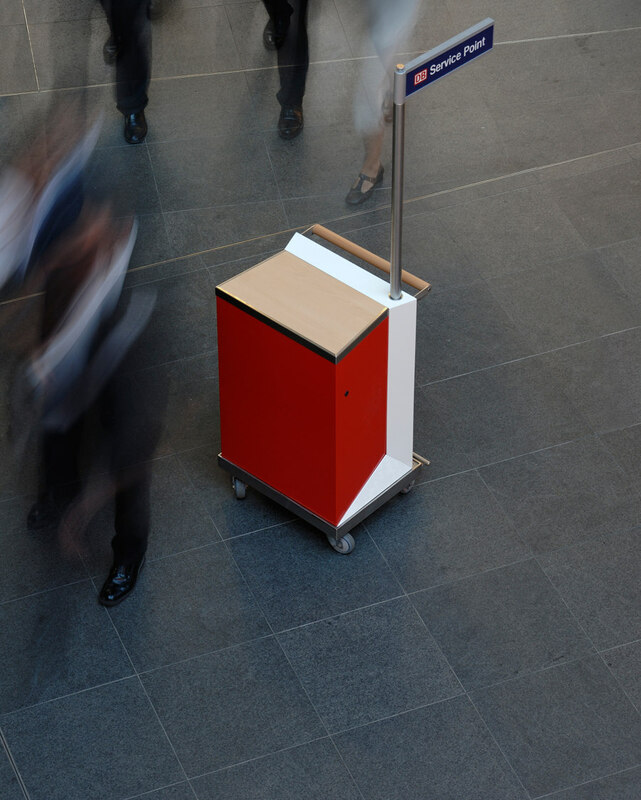 Their shape suggests a welcoming gesture, opening up to users. The use of color and materials creates the distinctive character of the product family, reflected in all types. 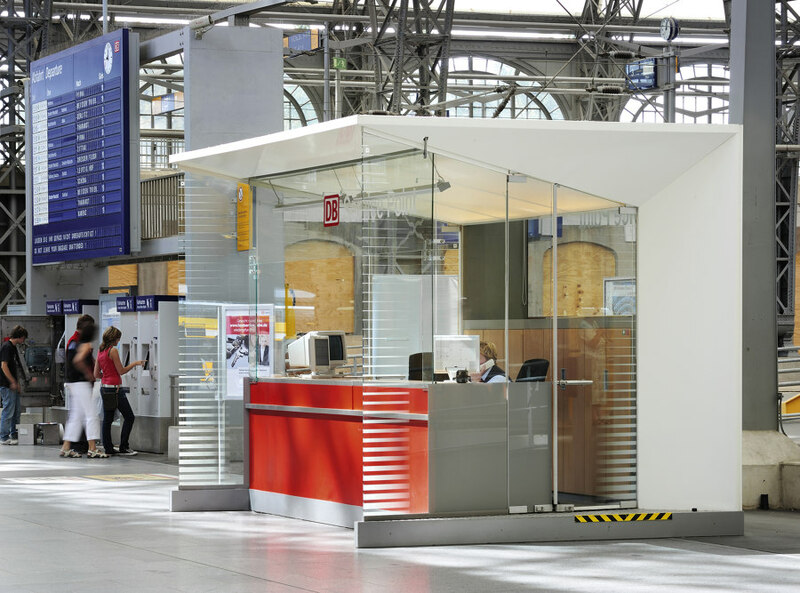 unit-design in cooperation with Dietz-Joppien Architekten.